The Tides have announced their 2019 schedule and home game times. The 2019 campaign will begin on Thursday, April 4th with a road contest against the Gwinnett Stripers. 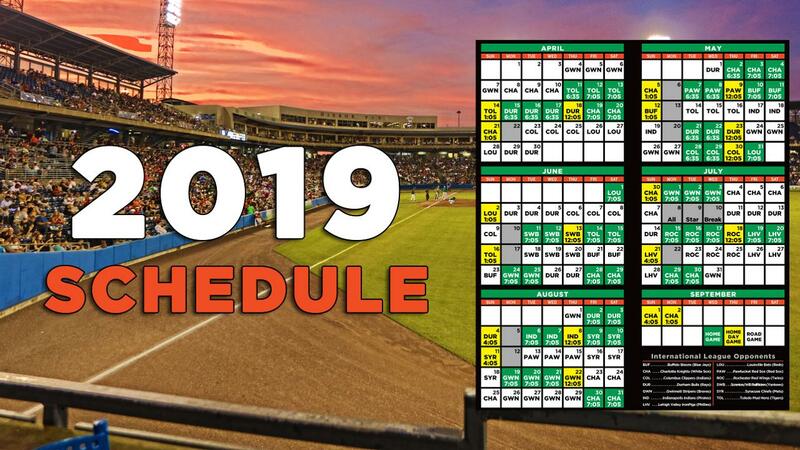 Norfolk will open the home portion of its 2019 schedule on Thursday, April 11th with a 6:35 game against the Toledo Mud Hens. The 2019 season will be Norfolk's 51st in the International League and is the 27th year of baseball at Harbor Park. The schedule features 33 weekend games on Friday, Saturday or Sunday, as well as eight midweek afternoon contests. Gameday promotions for the 2019 season will be announced throughout the offseason. Norfolk will play a 140-game schedule, featuring 70 home games and 70 road contests. The regular season will conclude with a home contest vs. Charlotte on Labor Day, September 2nd. Season Tickets, group tickets, picnics and patios are currently available for the 2019 season. For pricing and additional information, visit the Harbor Park box office or call (757) 622-2222.